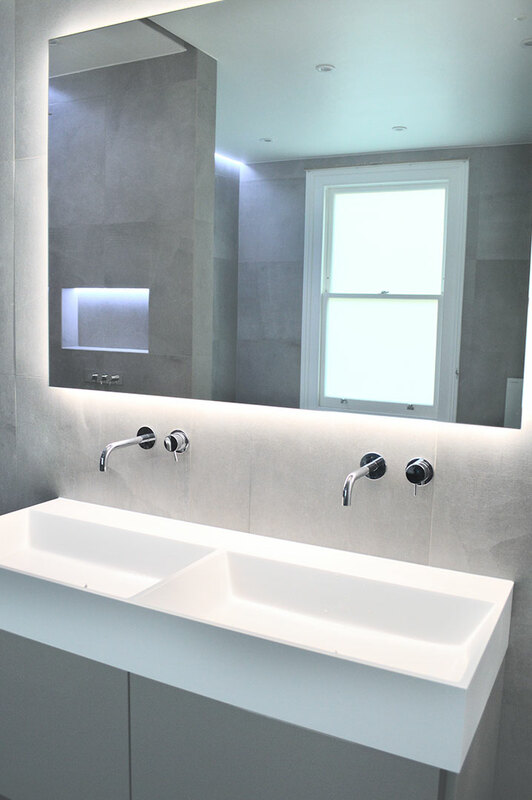 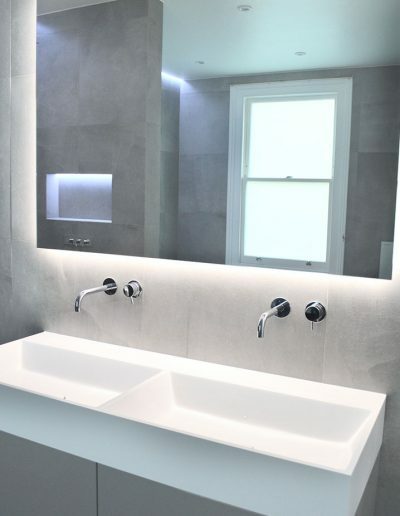 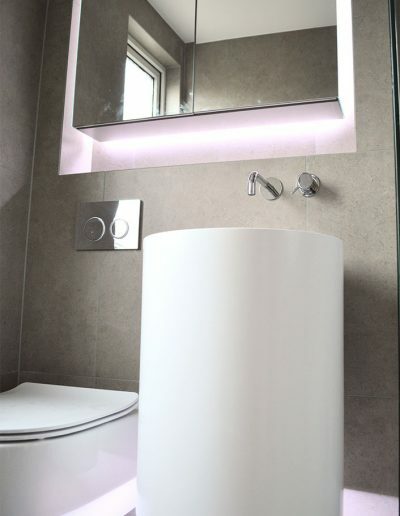 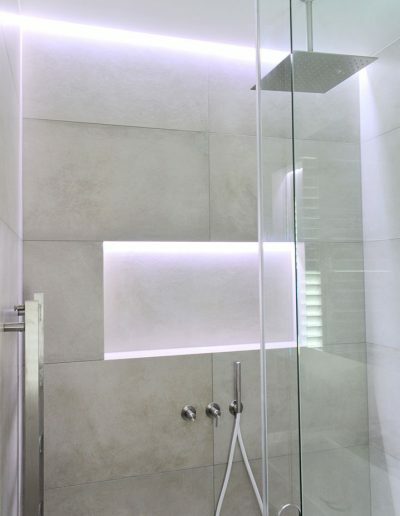 Whether it is designing a bathroom, getting a bespoke one fitted in, or picking out the perfect bathroom lighting, CP Bathroom Ltd is your go-to bathroom fitter for all things ‘bath and shower’. 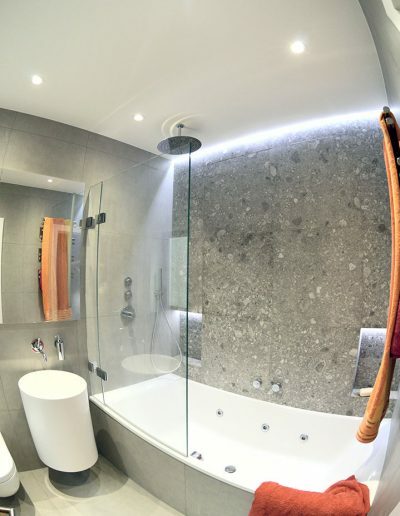 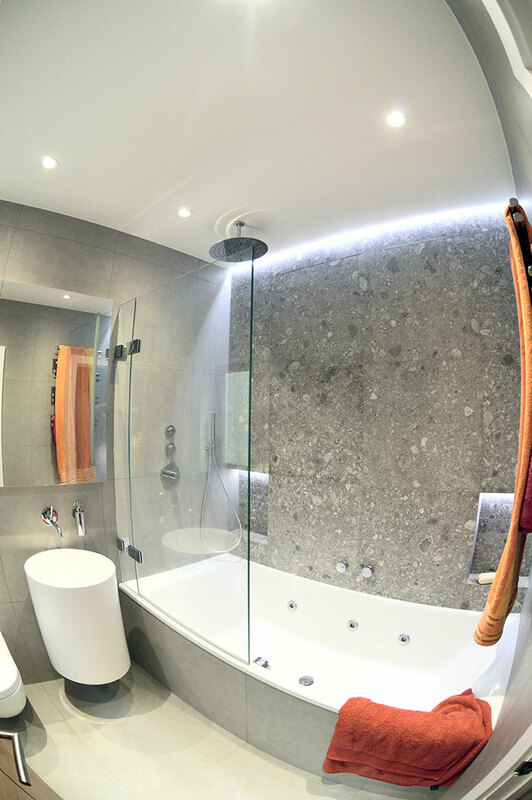 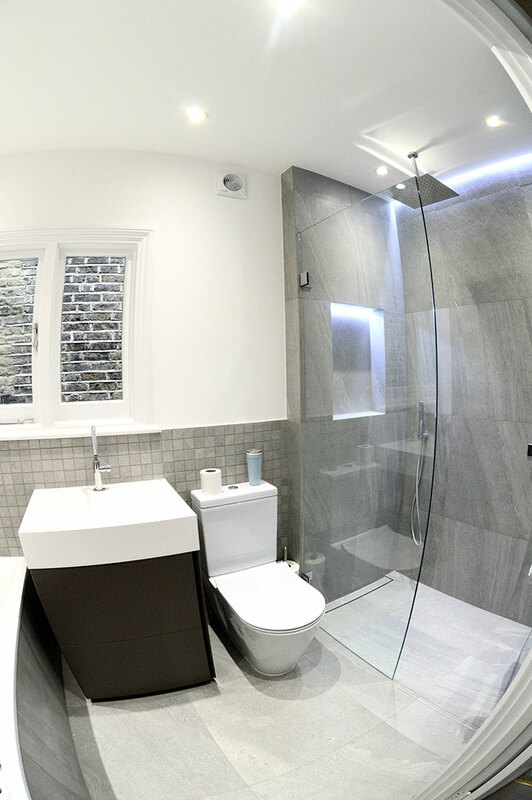 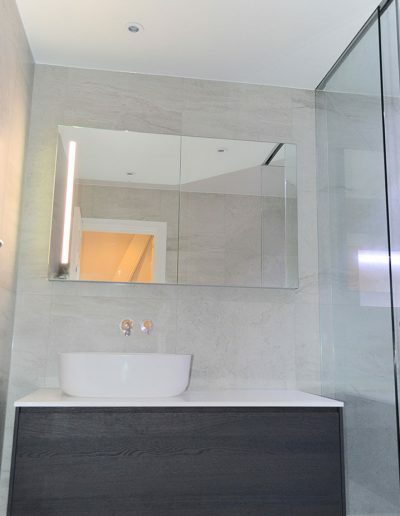 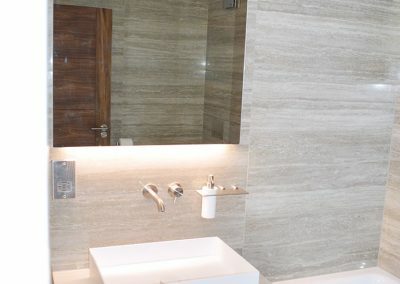 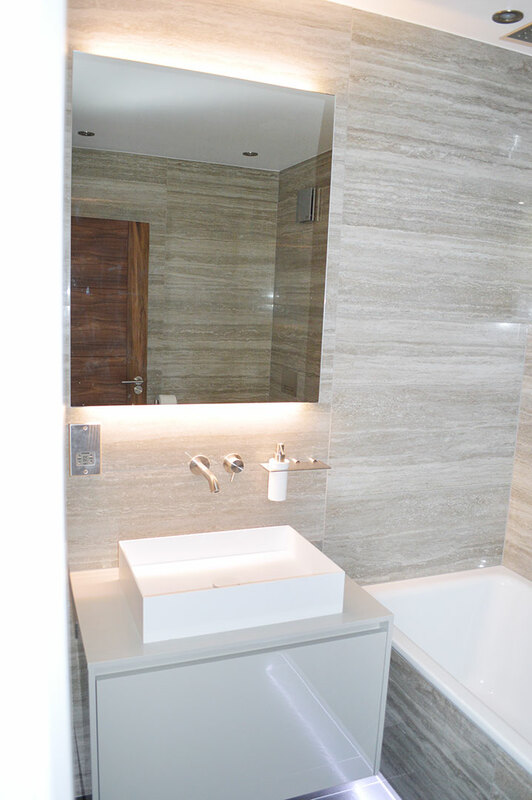 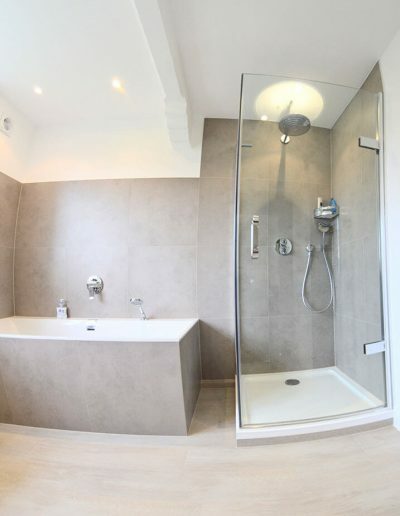 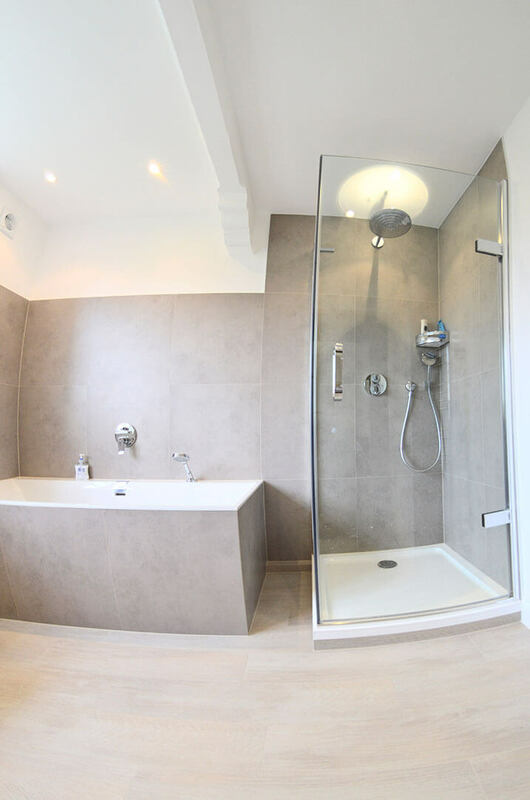 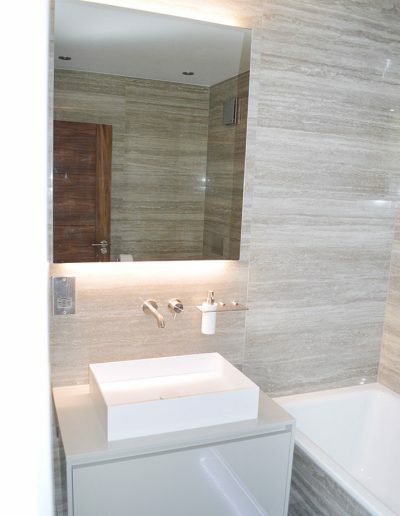 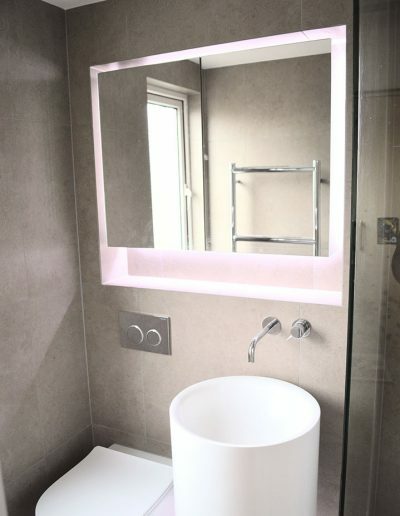 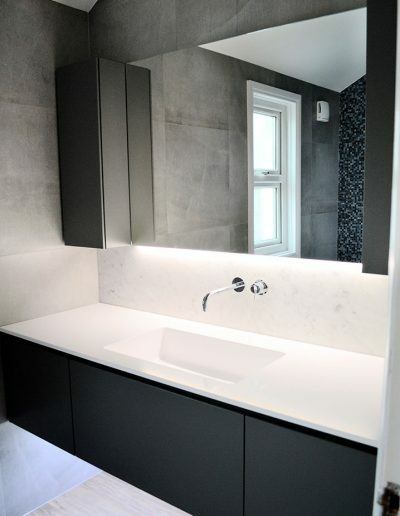 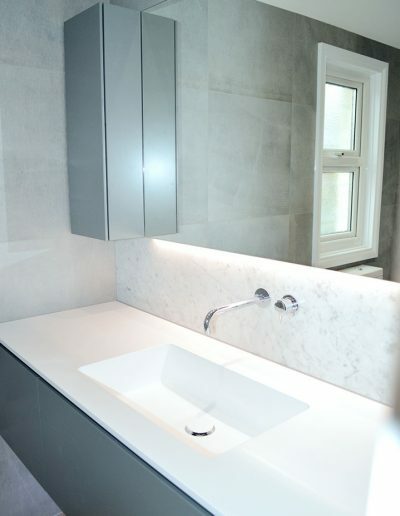 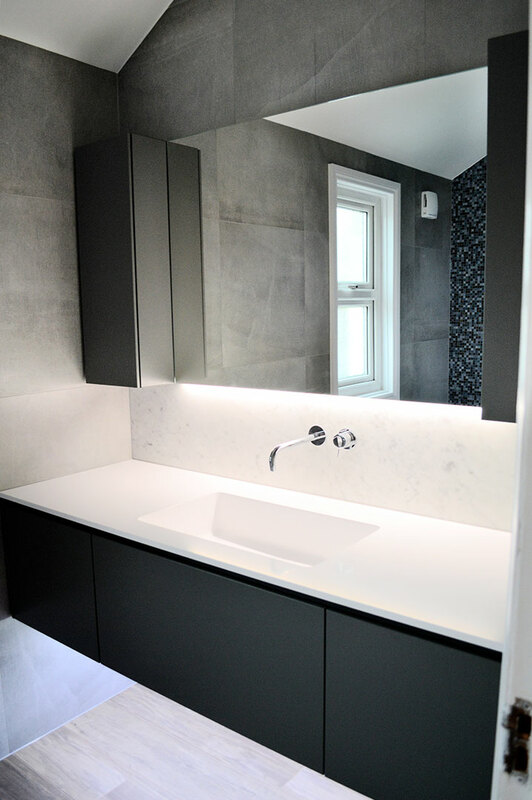 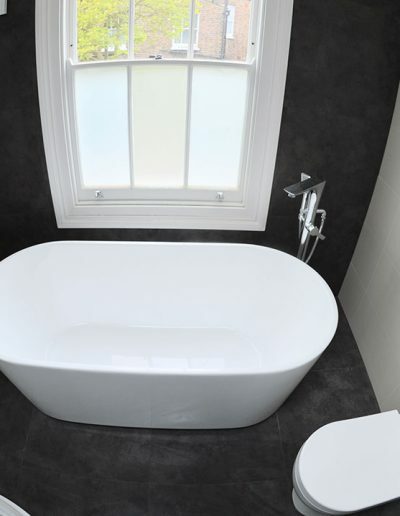 With over 12 years of experience, knowledge and expertise, CP Bathroom Ltd has become a key provider of first-rate bathroom building and renovation services in London and south-west England. 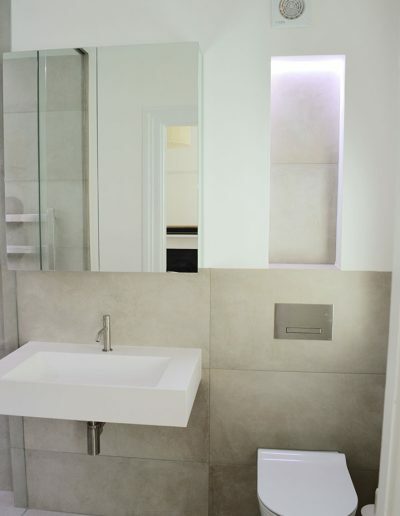 We understand that your bathroom needs to be well-designed, yet functional—a place where you can relax after a day of hard work, or to wake you up before you head out for the day. 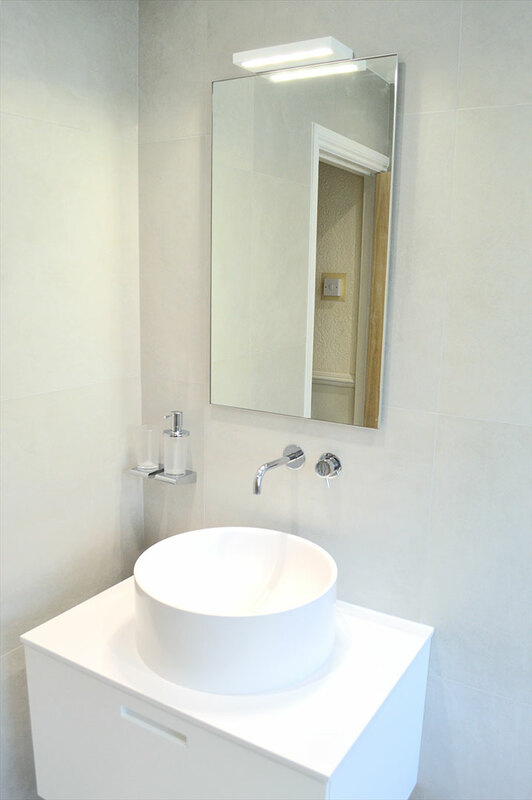 Our experienced and skilled designers will work closely with you to help piece together your dream bathroom. 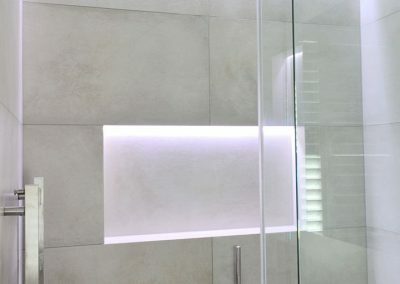 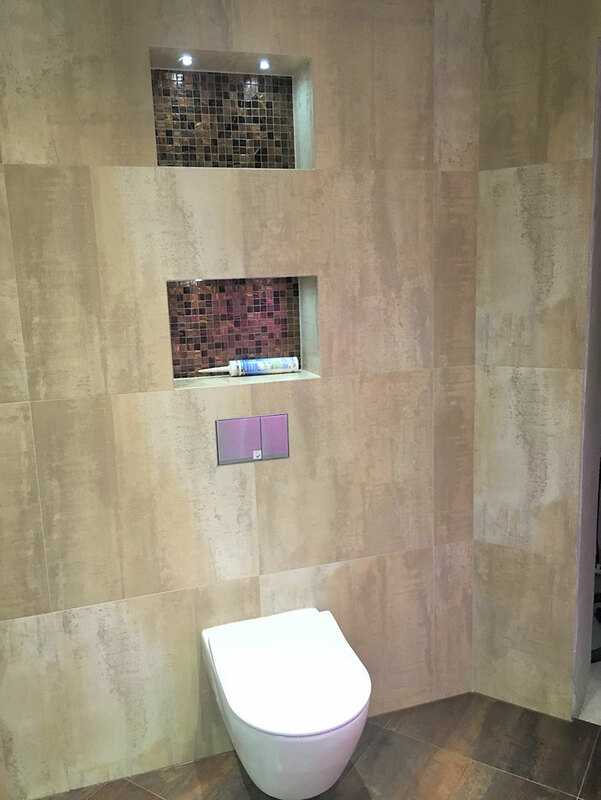 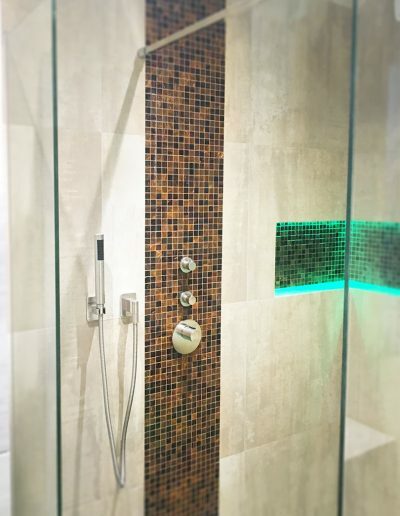 Whether you are looking for a contemporary or traditional effect, you will be spoilt for choice with our range of shower enclosures, baths, suites and work surfaces. 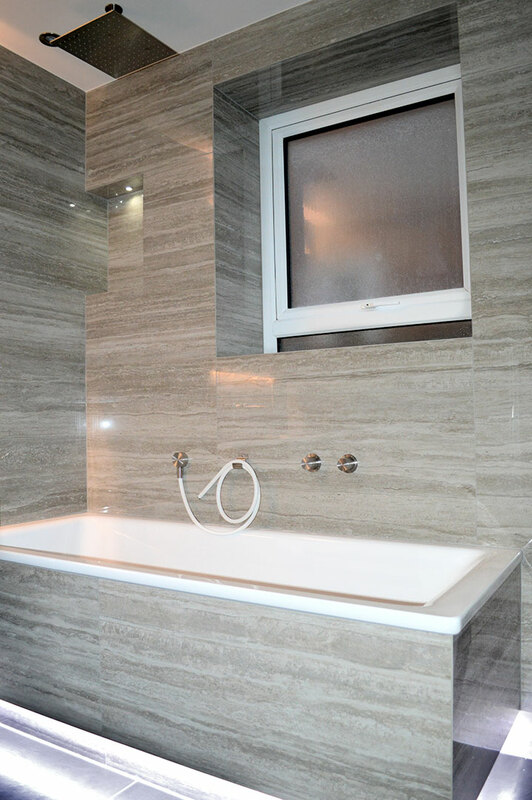 Our quality workmanship and professional attitude is second to none, and most of our work is either from recommendations or repeat business. 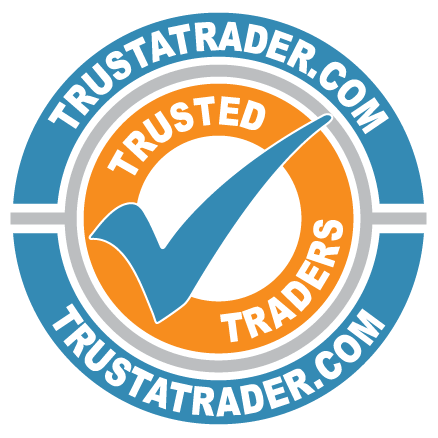 You can count on us for our work as well as our great customer service. 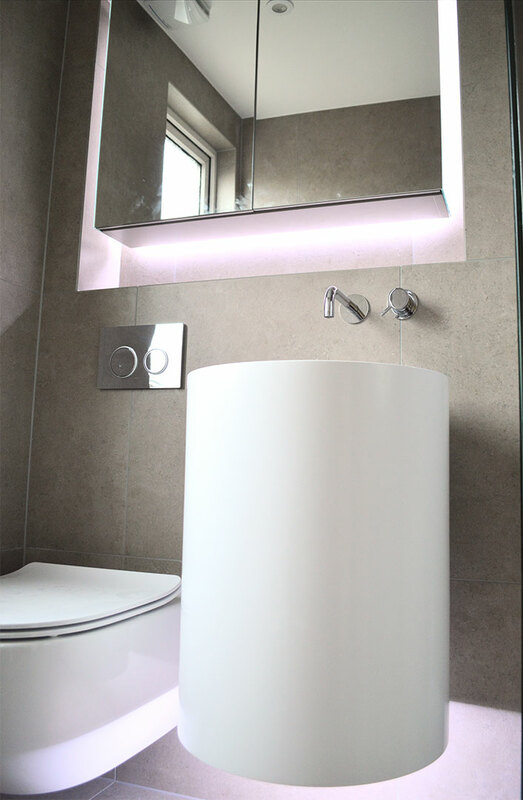 Our bathrooms feature a lot of great lighting; a style we’re famous for. 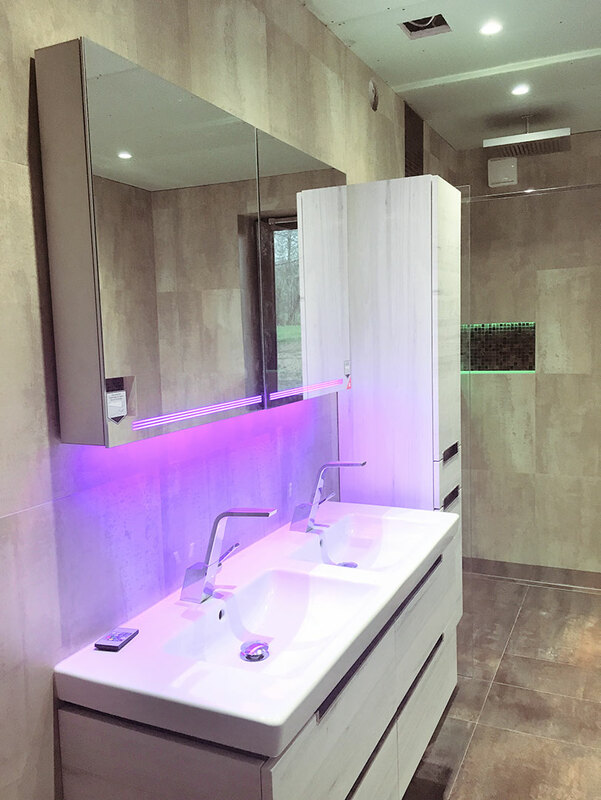 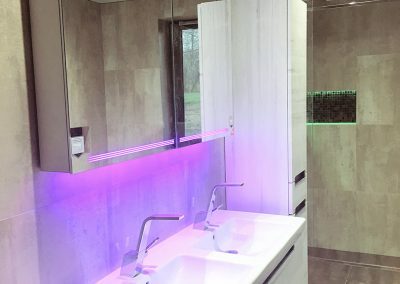 With backlit mirrors (ideal for applying make-up), bespoke illuminated mirror cabinets, or ceiling strip lights, your bathroom will be well-lit. 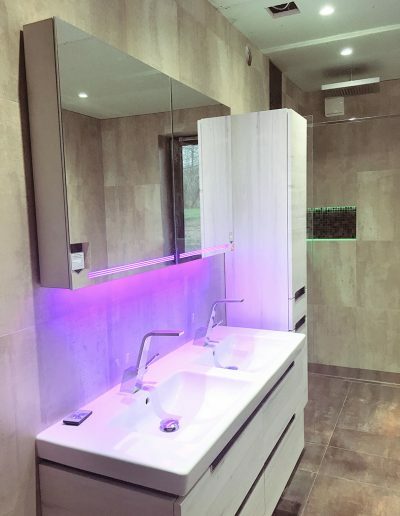 Our elegant designs and subtle lighting in any colour of your preference will create the perfect atmosphere you need to relax in your bathroom. 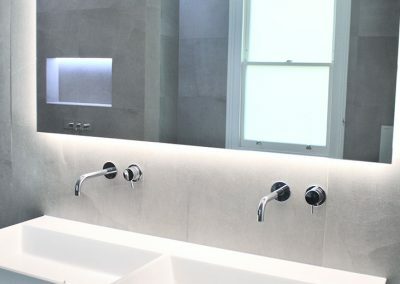 To add instant class, a modern touch, and make your bathroom look larger, we have a wide range of floating loos, baths and sink designs for you to pick from. 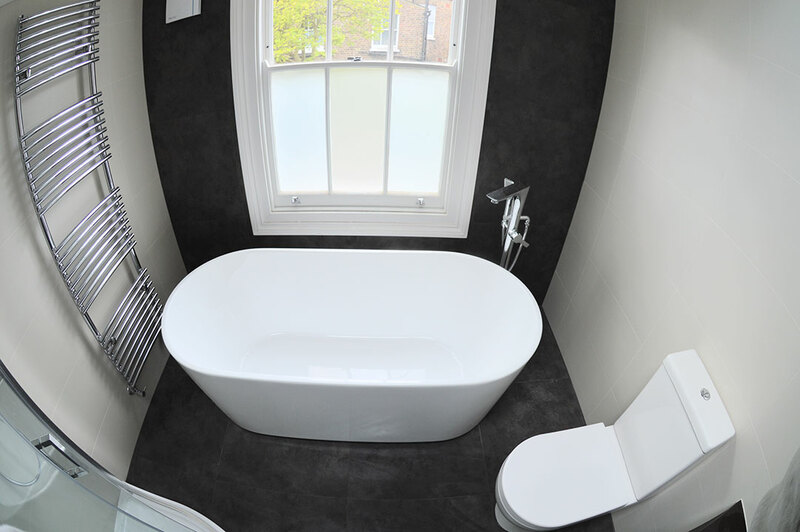 We work together with you and the ideas you have to design your perfect bathroom, be it modern or traditional. 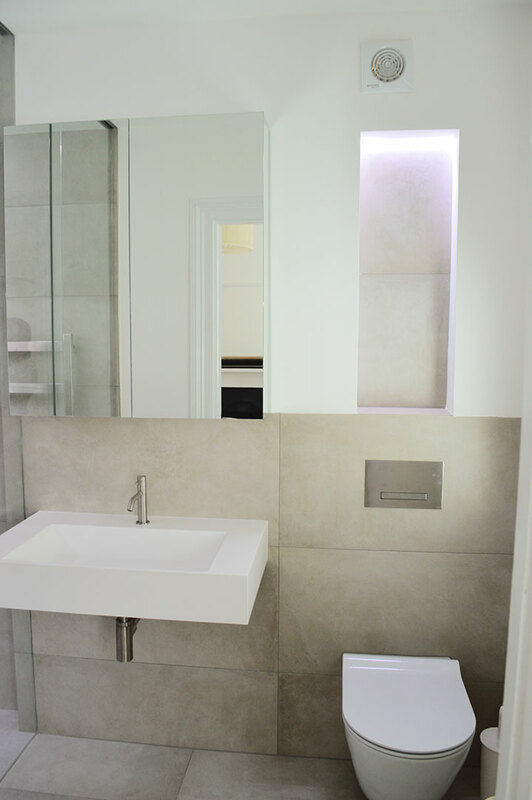 You will have a bathroom that is practical, optimises space, and looks great. 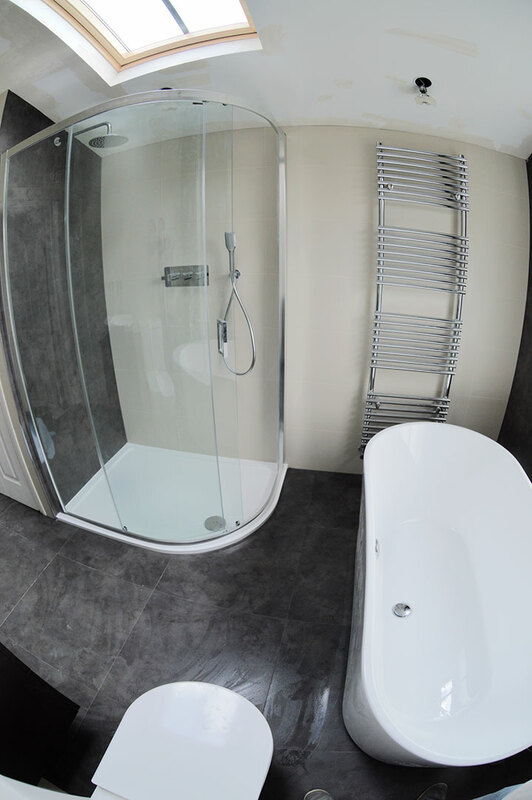 Once you have picked how you want your bathroom to look, our fitters work tirelessly to turn your dream into reality. 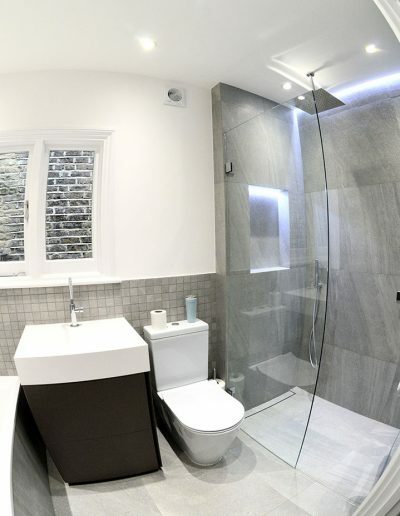 Pushed for space in your London home? 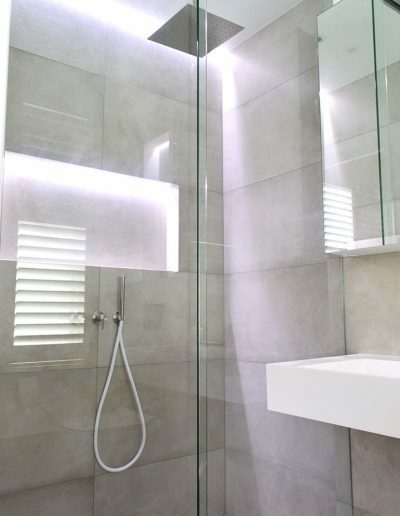 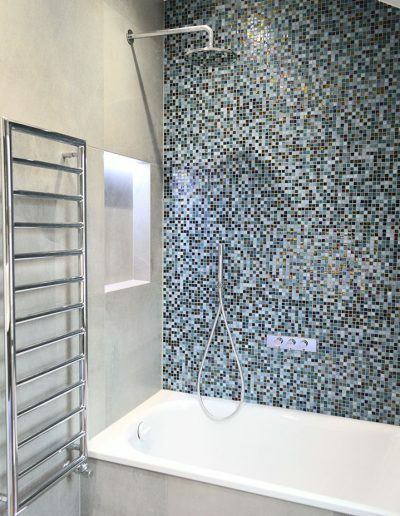 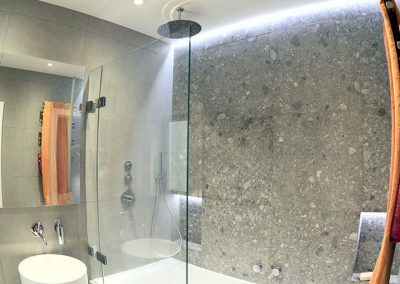 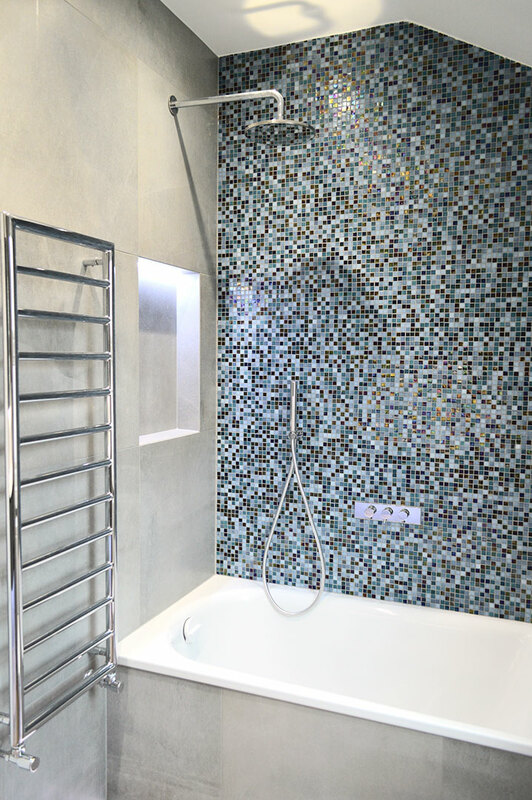 Wetrooms and bespoke shower rooms are the perfect solution when space is an issue. 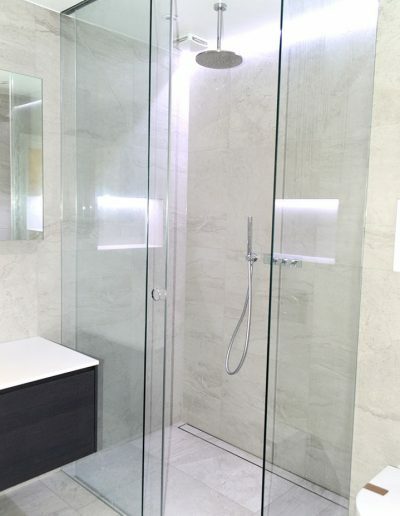 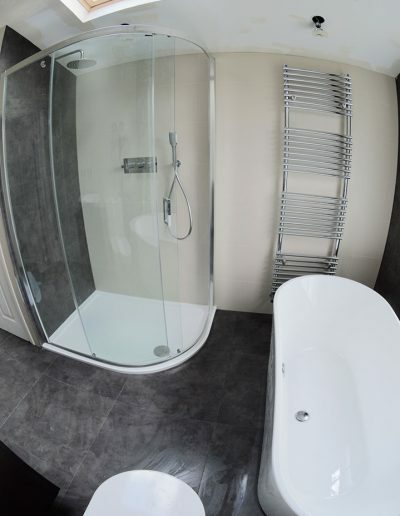 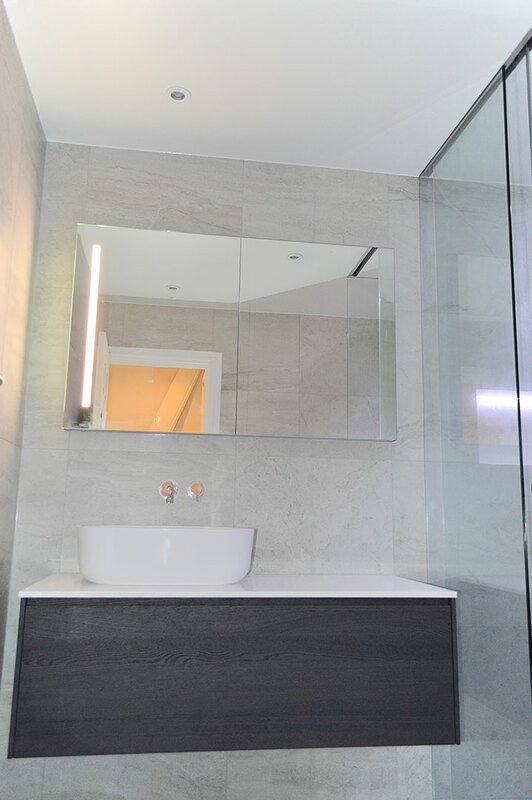 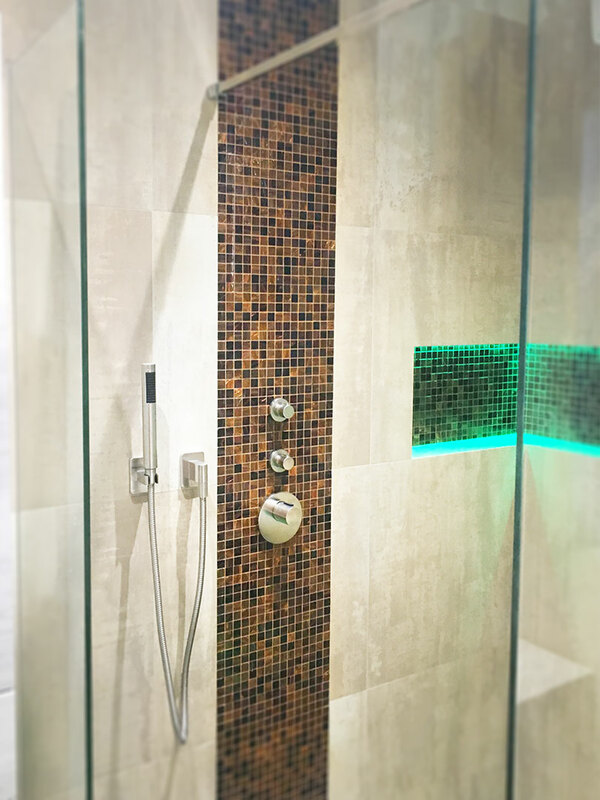 We can install shower enclosures to fit any height and width, and our carefully designed wetrooms and bespoke showers will make a small bathroom look bigger or a big bathroom even more spacious. 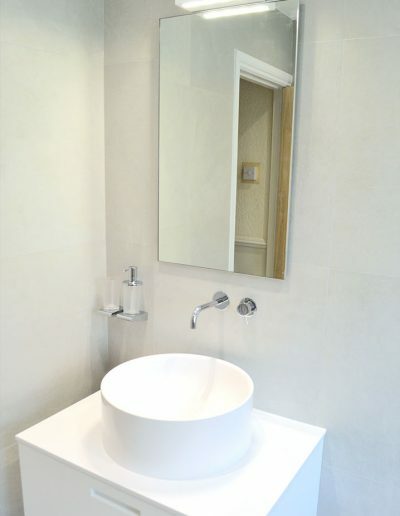 Choose from our wide palette of suitable furniture and appliances to turn your old bathroom around. 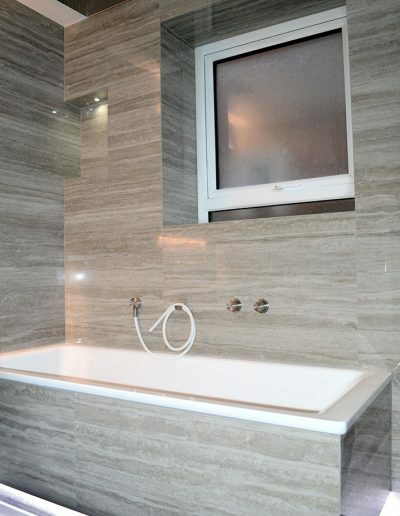 Tiling, under-floor heating, plumbing, plastering, electrical fittings, painting, and decorating… Leave it all to us! 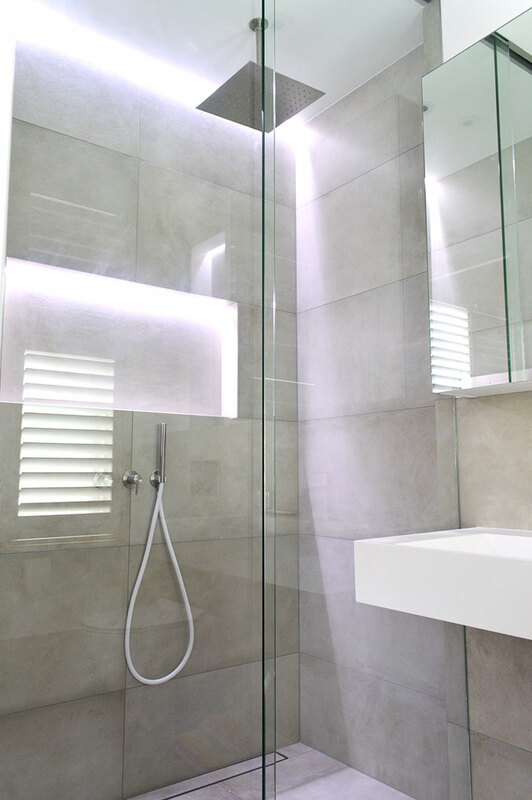 We offer a free bathroom design service and can either fit only or supply and fit. 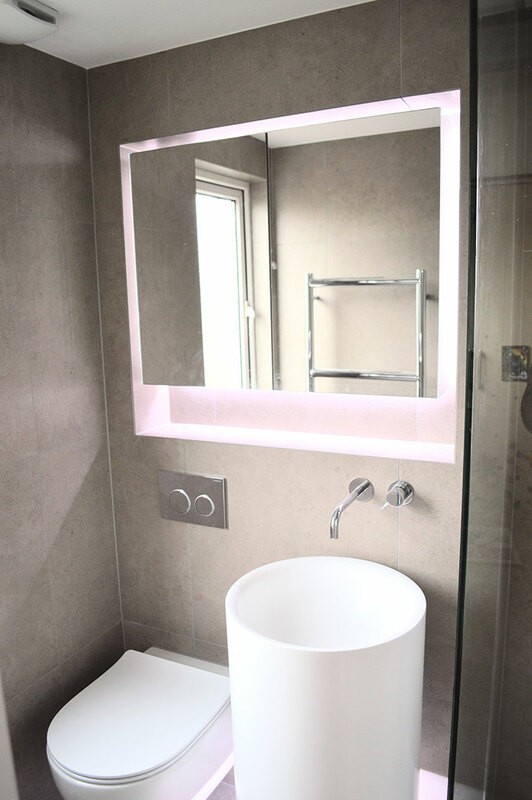 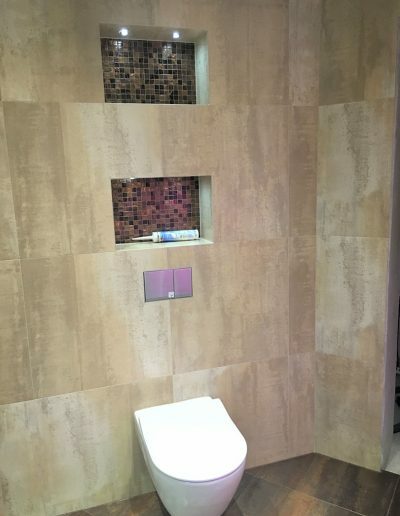 Our personal approach to every bathroom fitting ensures quality work with good value for your money. 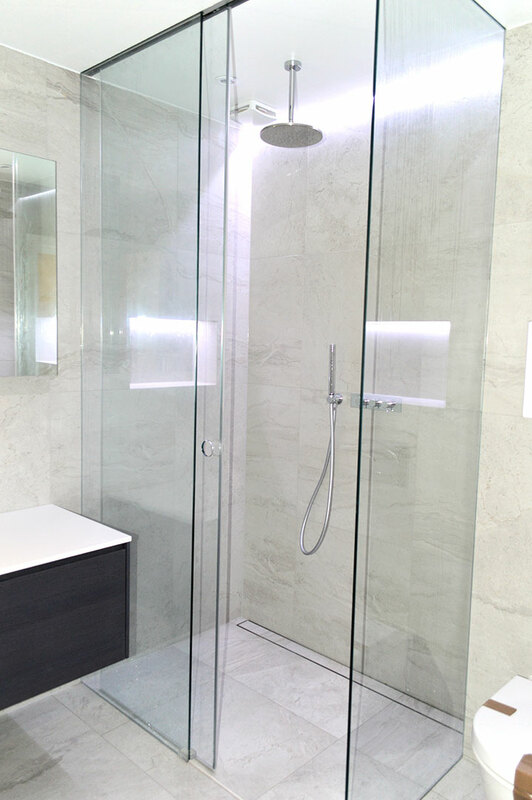 Book an appointment for a free home design consultation and quote. 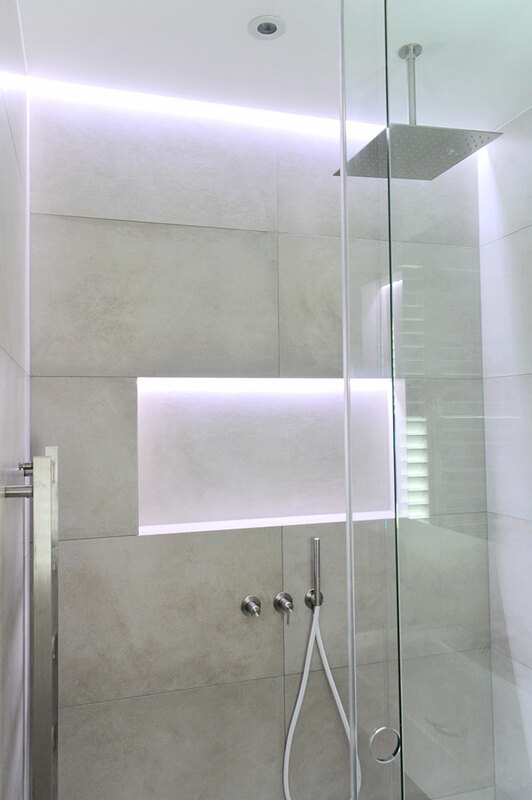 We focus on a professional service supplying a comprehensive solution to our clients varying needs. 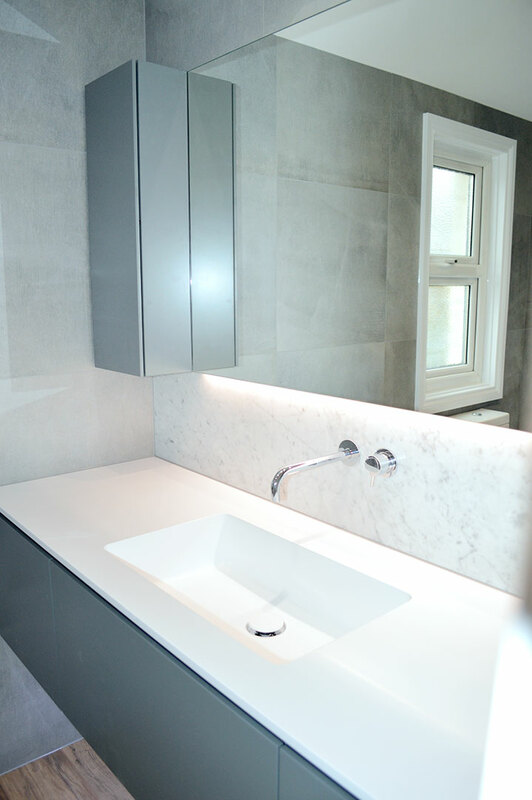 We remain a privately owned company that has retained the core values of providing excellent service and quality to customers at a competitive price. 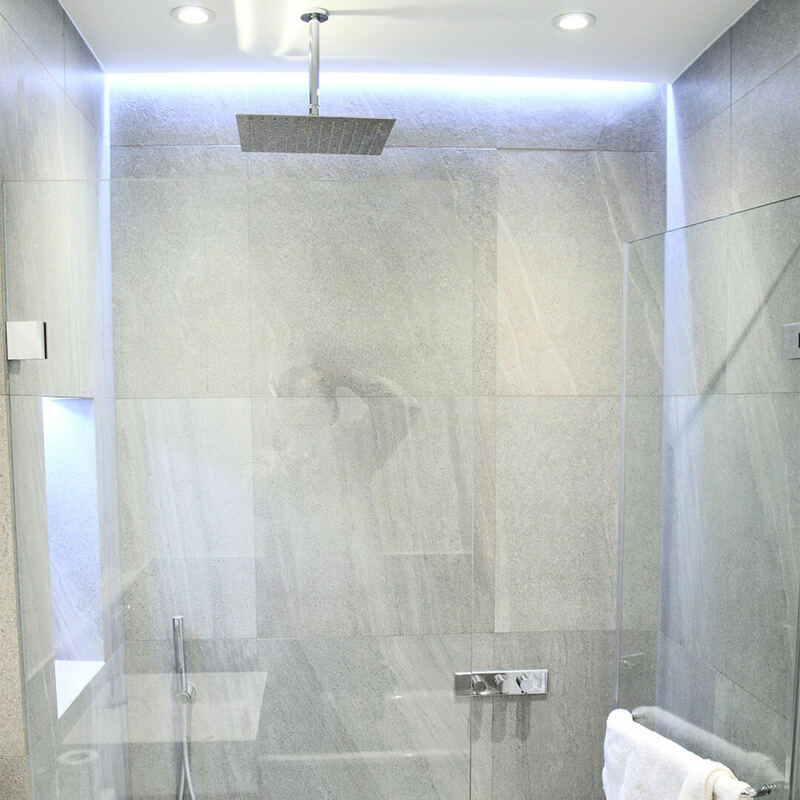 Needless to say we are fully covered by Public Liability Insurance. 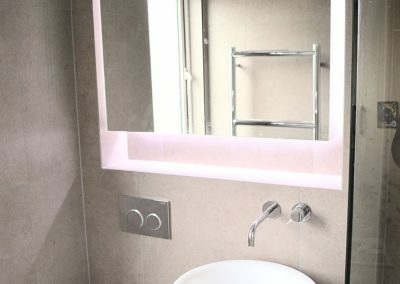 “From the first meeting, through to completion, Chris and his team were helpful, punctual, clean, with great attention to detail.